Second Life Grid Survey and Inspect. LindeX™ Exchange: Realtime Market data ! Works in No-Script Areas ! 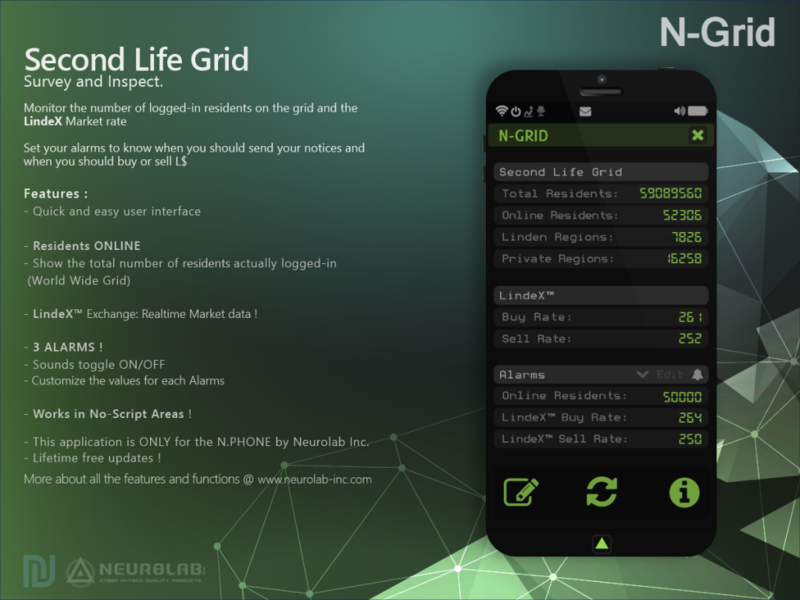 This application is ONLY for the N.PHONE by Neurolab Inc.